The foc us of our fifth part in our series about Chicago area community colleges sustainability efforts circles back to a more urban environment – Elgin Community College (ECC). Located approximately 25 miles west of Chicago, Elgin is the seventh most populated city in the state of Illinois. With the creation of the Business and Career Technology Center in 2010, ECC seized its commitment to sustainability. The Energy Business Management Program, which “focuses on preparing students for work as mid-level technicians in the renewable energy industry as technicians in large, commercial facilities in the area of environmental controls and computerized building automation. Many companies…are required to measure their energy management consumption…,” explains Lott. Sustainable practices is a part of the curriculum for all career and technology programs at the College, demonstrating the importance of sustainability to its students as a best practice for most organizations today. Sustainability is not only a philosophy at ECC, but the campus has started showing its belief in sustainability and green practices too. 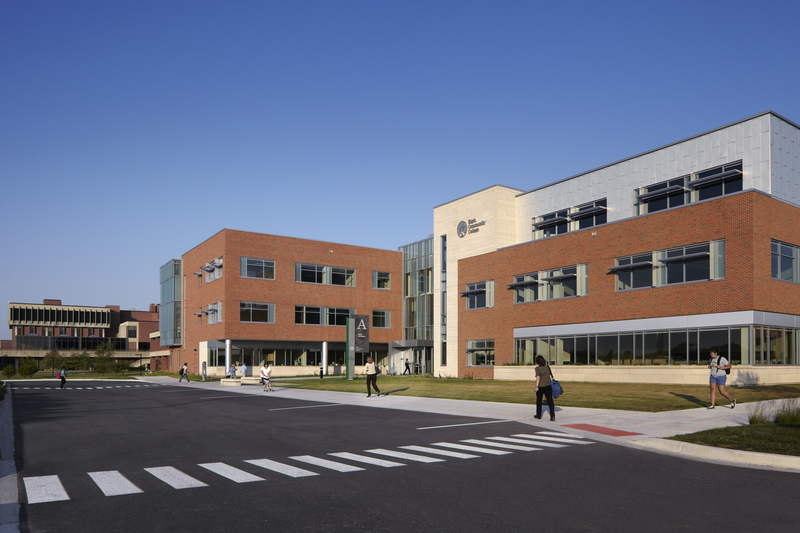 The College’s Building A; which houses the biology, microbiology, anatomy, physiology and other science and medical classes; was recognized as the 2013 recipient Project of the Year by the Construction Industry Service Corporation (CISCO). According to an ECC press release, “It [Building A] [received] LEED Silver certification, which underscores the college’s focus on environmental stewardship. After the decision to incorporate sustainability, ECC became a member of the Illinois Green Economy Network, which led to hands-on opportunities for the campus to adopt sustainable practices. Part three of this ongoing series about Chicago area community colleges and their sustainability efforts explores the most rural area of this huge area — McHenry County College (MCC). Located in Crystal Lake, “McHenry County College has had a long standing, 20-year commitment toward sustainability,” stated Kim Hankins, Director, Sustainability Center at MCC. MCC’S Sustainability Center focuses on “….three interconnected areas, which creates a holistic approach to sustainability,” as stated on the College’s Web site. Green Campus including physical campus and campus operations. Green Education that includes curriculum development for a green economy and training for employees and students about sustainable practices. Green Community including how MCC shares with the community resources that improve quality of life. Aligning with green campus is the installation of 335 solar panels on the Shah Center in McHenry. “In June 2014, the Illinois Green Economy Network (IGEN) awarded MCC a $250,000 grant to go towards a 91 kW solar photovoltaic installation,” as stated on the Web site. These solar panels account for approximately 50 percent of the necessary power to run the Shah Center, while providing McHenry County residents with an estimated reduction of 75 tons of carbon per year. MCC offers a variety of credit and noncredit workshops focusing on sustainability and the environment. 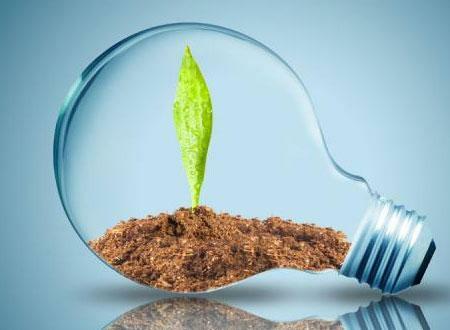 The credit classes cover many subjects — from Alternate Fuel Vehicles, which discuss vehicles that run on compressed natural gas (CNG) , propane (LPG) and bi-fuel vehicles that alternate between gasoline and CNG or LPG to hydroponics, which studies hydroponic systems for growing horticultural crops and plants in indoor environments to a Creative Leadership project, which is part of the Fast Track Business Management program, which focuses on promoting green technology. Even if a class is not specifically geared toward sustainability, Hankins explained that this sustainability and green thinking is embedded into each curriculum. For example, as part of the lesson on decision making in Introduction to Psychology, the decision whether or not to recycle is used as the example. MCC reaches out to the community to promote sustainability. MCC’s Sustainability Center and the LMTRI publish the annual McHenry County Green Guide, which is full of lots of new and reusing information, including a Green Living section on where you can purchase green products locally and online. And, the Sustainability Center provides education for the college and the community about solid waste. So, next in my series about sustainability and Chicago area community colleges is Harper College. Located in Palatine, Harper College holds a special place in my heart and mind because this was the community college I attended after high school and before I transferred to Northeastern Illinois University. The College has grown and changed — I had difficulty finding where I was supposed to meet someone – didn’t even recognize the campus! But, that’s a good thing! And, I was also very happy to learn about the green efforts the College is making toward sustainability. Even though community engagement may be a struggle, there have been many sustainability victories at Harper — the most significant being the drop from 2.18 million gallons of water usage to 1.85 million gallons between May 2014 and May 2014 – that’s a difference of .33 million gallons in one year. The College has also made progress achieving the goals set in its 2013 Climate Action Plan. In its January 15, 2015 American College & University President’s Commitment, Bandman reported that “Harper College has achieved its first target set forth in phase one of the climate action plan, achieving 5% reduction in energy use of purchased utilities compared to the base year of 2010 and 15% offset of carbon emissions from purchased utilities via renewable energy certificates. Also, per the climate action plan, all newly constructed buildings at Harper must meet LEED Silver status. Landscaping at the College is not untouched; Harper has planted more native plants and now grow these plants in house in the greenhouse in peet pots, thus, reducing the waste of plastic pots. Also, vegetated swales can be seen in the north parking lot and near the new parking garage. Harper’s Welding Technology department has even become involved in sustainability efforts. The Welding department build two new bicycle racks which hold seven bikes — these racks, which are placed in front of the new buildings promote both welding and bicycling. Harper is also moving toward stream recycling where all items that can be recycled can be thrown in the same bin instead of having to separate items, making it easier for those on campus to participate in recycling efforts. Also, those water bottle filling stations located throughout campus have eliminated 718,000 one-use bottles, according to Bandman. In addition to Harper’s Environmental Club, the Sustainability Department is offering a Sustainability Series with various programs. The next program is Whole Home Efficiency: Ways To Save Energy and Money on Tuesday, July 21 — free lunch will be provided. For more information about this and upcoming events check out http://goforward.harpercollege.edu/about/consumerinfo/sustainability/. Christmas Is Over – What To Do With That Tree? The holidays and you have to get back to “life as normal”, which means packing away all of those Christmas decorations and cleaning up including getting rid of that dried up old Christmas tree. 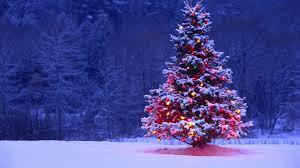 Don’t want to throw your Christmas tree and have it end up in a landfill? The best thing to do is recycle that tree! Many villages offer free recycling services where you can take your tree to be turned into the mulch and they’ll give the mulch back to you so you can use it for compost, or you can just donate the mulch. If you’re unsure about these services contact your city hall for this information. Planters – trunks and larger branches of Christmas trees should support large planters or possibly be the base for a compost pile. Bird feeder – spread small branches with margarine or peanut butter and dip it in bird seed. If you already have a bird feeder it may take a few days for the birds to find this feeder so don’t fret! Winter Season Garden Cover – pine boughs are an excellent, natural garden cover for those cold, harsh winter months. Wildlife habitat – Even if you live on a small property, place your old Christmas tree at the edge of your yard, which makes a great, small winter wildlife habitat for squirrels, rabbits and birds. Some may even build nests in the tree. Sachet – if you’re feeling crafty and love that fresh Christmas tree scent all year long make a sachet using the tree’s pine needles. Best places throughout the home for these scented treats are bathrooms and the kitchen. Oak Park, Ill. has always been known as a fairly progressive, liberal and creative town. Located next door to Chicago, Oak Park boasts the childhood home of Ernest Hemingway and a plethora of other cultural attractions, Oak Park has added “green community” to their list of community positives. In 2011 the Oak Park/River Forest (suburb next door to Oak Park) area developed PlanItGreen, “[t]he Environmental Sustainability Plan for Oak Park and River Forest…[it] is a project designed to develop and implement an environmental sustainability plan” which will be discussed in a future blog. In addition to setting benchmarks and goals to reduce energy and water consumption and just have greener communities, Oak Park has gone one step further and established the well-known green film festival, One Earth Film Festival, which has grown in just three years. “The festival offers a broad coverage of topics – from films about energy, waste and water, but has evolved to cover more metaphysical and philosophical topics as well and how this affects our environment,” states Ana Garcia Doyle, One Earth Film Festival Founder and Team Lead. In addition to screening 30-40 films, Doyle emphasizes involvement through getting speakers to discuss the featured films and panel discussions after the film has been filmed which then turn the question back to the audience “what can you do?”. The 4th Annual One Earth Film Festival is March 6-8, 2015. Check the festival’s Web site for further information.